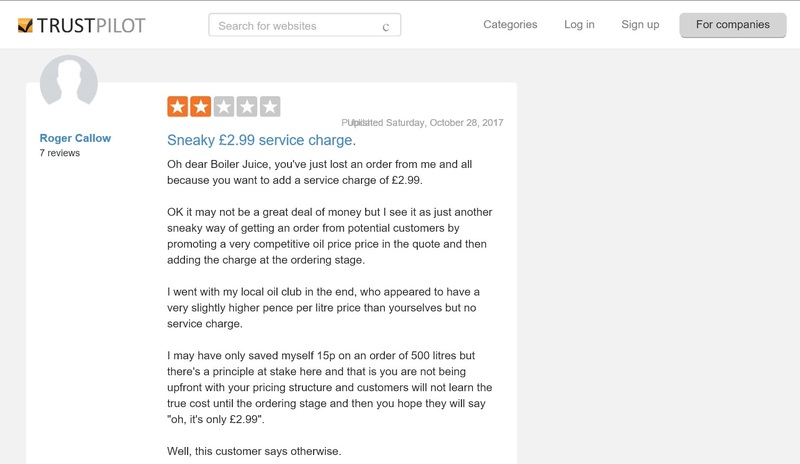 BoilerJuice, the online heating oil brokerage, has introduced a service charge to every order placed on its platform. A minimum charge of £2.99 per litre on small orders, or more on larger volumes, was introduced in September 2017, shortly after the private equity owned heating oil brokerage replaced Ian Ronald with a new CEO after only 19 months. The private equity firm Livingbridge, who currently own BoilerJuice, have appointed a new CEO, Lee Cowles, former managing director of Betfair, to unleash the heating oil brokerage's digital potential by growing the business, it's value, and profits. On the company's website the service charge is justified as being a charge for running their sales platform and for supporting their customers. To some however, such as former customer Mr Callow "it is just another sneaky way of getting an order from potential customers by promoting a very competitive oil price in the quote and then adding the charge at the ordering stage." As a real heating oil distributor we think it is sad that an online firm, taking hundreds of orders per day, is using such tactics on it's platform to extract more money from customers to boost profits. 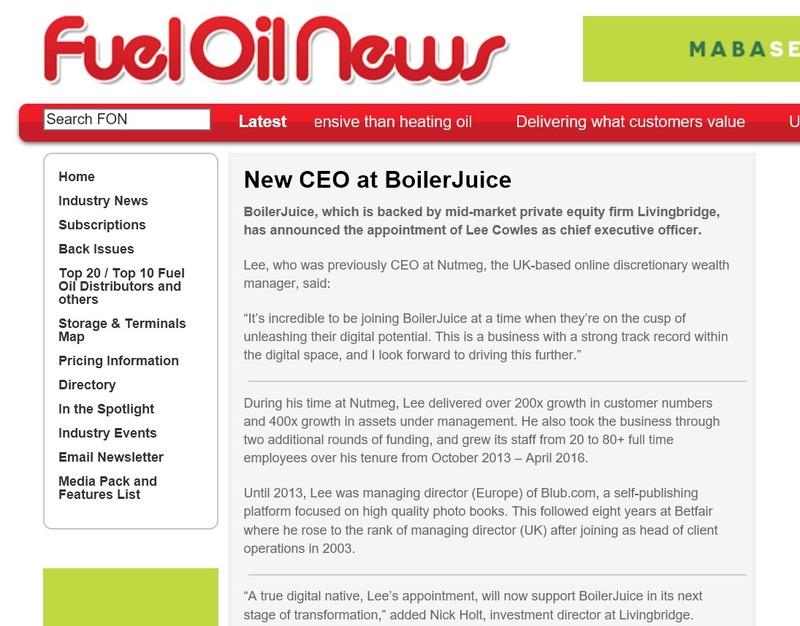 “A true digital native, Lee’s appointment, will now support BoilerJuice in its next stage of transformation,” added Nick Holt, investment director at Livingbridge. To top up your tank without sneaky service charges call or click Goff Petroleum now.